Keep your car safe and economical with the help of the RYOBI 18V ONE+ high-pressure inflator. Driving with uneven tyre pressures can cost both fuel and the integrity of your tyres. 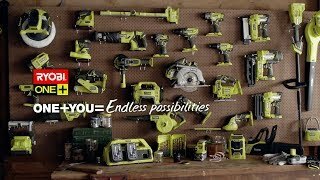 The RYOBI ONE+ high-pressure inflator can quickly and easily get your tyres back to their optimal running pressure. 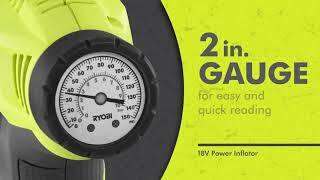 For any high-pressure inflating, the RYOBI 18V ONE+ high pressure inflator makes it simpler than ever. The large diameter piston allows for faster inflation and less work. Getting the perfect results is just as easy thanks to the easy-view pressure gauge. And as a member of the ONE+ range, your 18V ONE+ batteries make this the most portable and convenient high-pressure inflator available. Grab yours from your local Bunnings Warehouse today.